Over 21 million kids in America are involved with youth sports programs and 70% of these kids will drop out of organized athletics by the age of 13. We as parents have so much to learn about this increasingly competitive and intense world of youth sports if we are to keep our children playing longer and playing because they enjoy the sport. So where do we as parents turn to educate ourselves on raising athletes in today’s world? A good friend of mine with three successful athletes who always seems to handle the competition, disappointment and expectations with grace told me to read a book that really helped their family. It is the national bestseller, Changing the Game: The Parent's Guide to Raising Happy, High Performing Athletes, and Giving Youth Sports Back to our Kids by John O’Sullivan. Reading through it I kept shaking my head at things I’ve struggled with over the last nine years with my kids in sports. There are so many things I’ve never really thought about when dealing with the day-to-day reality of practices and games. My top five reflections from reading Changing the Game . 1. Why Play Sports? - What do you want your children to take out of playing a sport? It can go beyond just teamwork and fitness. The list of life lessons to learn on a field, ice rink or swimming pool include – discipline, gratitude, perspective, fairness/unfairness, jealousy, humility (in victory), gracefulness (in defeat), commitment, relationship and sometimes failure. And the great part about kids learning about these in sports is that we as the parent also get to learn from them. 2. Core Values & Life Lessons – Are my actions on the field, at home and at practice reflecting the values I want my child to embody? Am I grateful for the trainers, do I say thank you to the parent volunteers, do I have patience in the learning process and can I keep it all in perspective? Reflecting upon my answers to those questions helped me realize how much I have to learn about parenting athletes. 3. 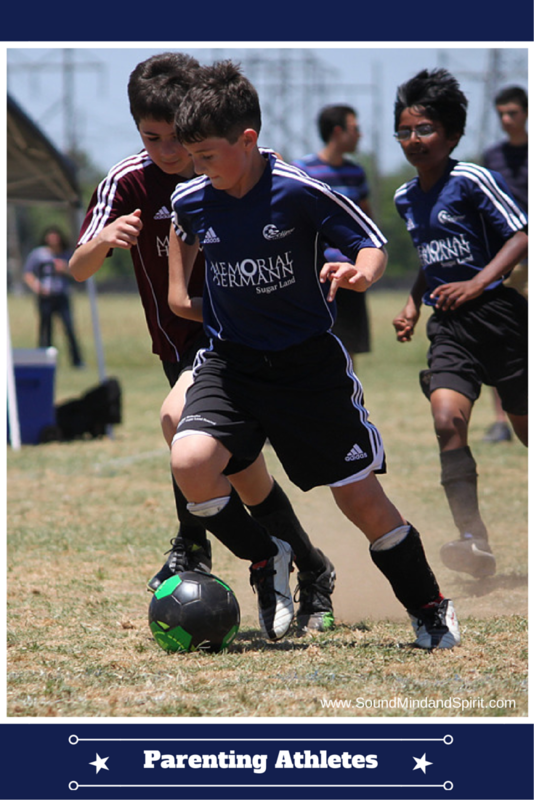 Unconditional Love - Does my child know that his performance on the field does not affect my love for him? Does he know that I love him unconditionally? Does he know that even if he fails I will always be proud that he took the risk? Sports are a great avenue for a child to gain confidence partially through marked success and abysmal failures. 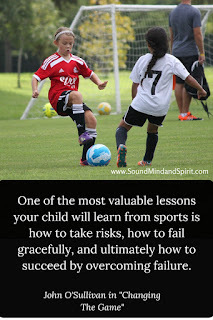 They ultimately learn to not only fail gracefully, but how to succeed by overcoming failure. In order for him to take risks and fail or succeed, he needs confidence that his parents love him no matter what. That love will give him the support and encouragement he needs to take those big risks. 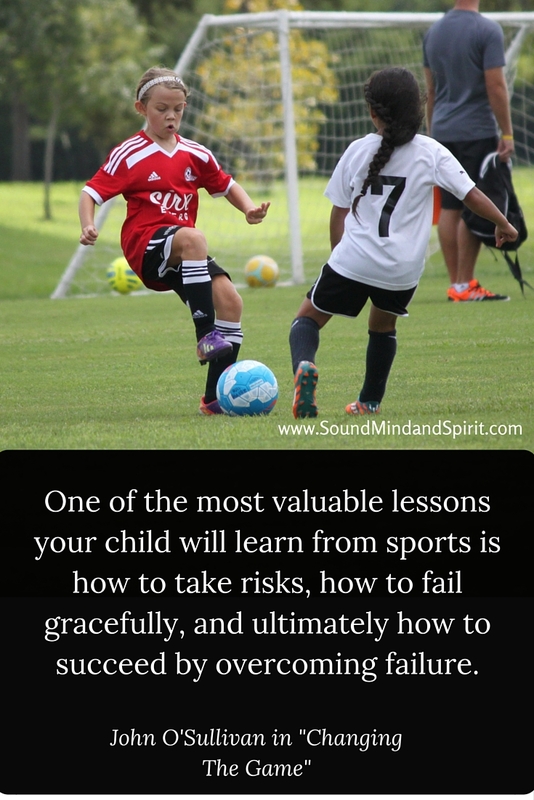 After all, where else besides youth sports can kids fail and learn to overcome without serious consequences? 4. Communication - How am I communicating with my athlete? Do I ask him what he hopes to get out of the training or season? Why does he play? What are his goals or expectations in the short and long term? Do I ask and do I listen? After a disappointing game, do I give him time to absorb the experience and then help him figure out the lesson when he’s ready? Am I giving him the tools he needs to deal with the coaches, players and referees? 5. Their Game - How do you encourage your athlete to play their hardest, when do you push and how do you handle a disappointing result or performance? The book helped me to realize that my athletes need to be playing the game for themselves, not performing for their parents. My child needs to be released to the game. The sport is HIS experience, not mine. We, as parents, are the spectators and the kid is in control of the outcome. I am simply a fan during the game. The #1 fan of course, but still, just a fan. It is our job as the parent to help our athlete set his goals and expectations and then discuss as a family how the athlete’s goals/expectations match up with those of the parents. Once we have the goals, we as a parent can push our child to meet his specific goals when they need the extra support. Players receive training in a sport. Coaches receive training in a sport. Parents most of the time do not. We as parents need training in how to nurture our young athletes to develop a high-performing mindset and ensure a life long love of the game. 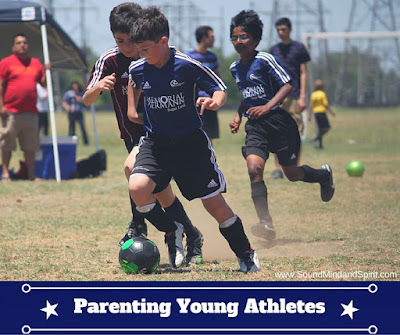 What do you struggle with the most parenting youth in sports? 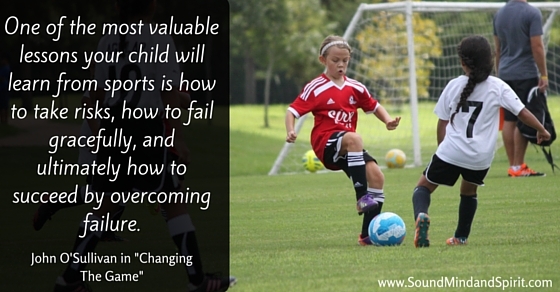 What has been your greatest influence in learning how to parent athletes?